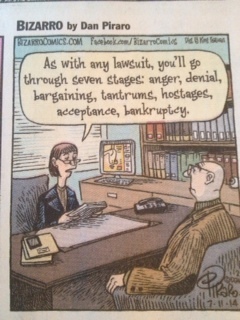 The Seven Stages of a Lawsuit. Stage 4 is my favorite. ← I Will Scare the Crap Out of Your Children For Only $2 Bucks an Hour.